Whether you run a regular or an e-commerce website, Search Engine Optimisation (SEO) is important. Done right, it has the potential to create a sustainable flow of visitors to your site– without you paying per click for every visit. Understanding the key areas where e-commerce SEO is slightly (and sometimes significantly) different to normal SEO will help you optimise your site and substantially boost your revenue far into the future. Note: This post is intended to give you an overview of the concept. To fully apply these points on your specific website, we recommend you research further or consult an expert on the subject of SEO for e-commerce. 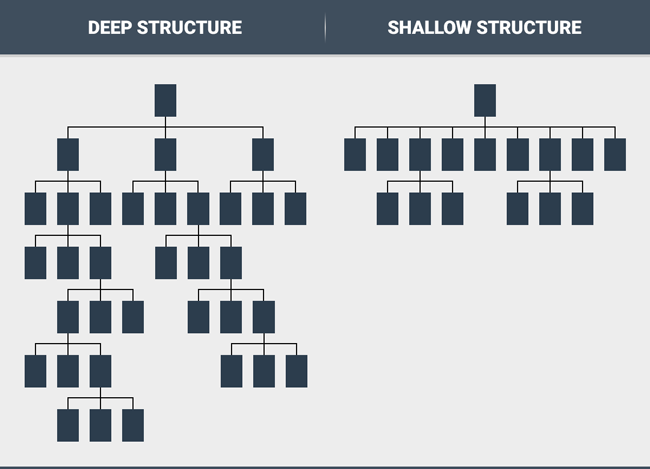 Uniqueness is key when working with SEO on any site. However creating unique descriptions, keywords and URLs on an e-commerce site with so many product, category and content pages is a challenge. Consider setting up a central spreadsheet that lists every one of your pages. For each page, list the associated keyword and URL (and for product pages, product descriptions too). Then whenever you add a page, you can quickly check you aren’t duplicating content, keywords or URLs. Bear in mind that search engines are designed to deliver results that are as user friendly as possible. The factors they use to rank sites are therefore closely linked to what works for the people using them. Always consider the usability and user experience as much as, if not more than, the SEO actions. An e-commerce site requires far more intensive keyword research than an ordinary site. Remember that keywords are what bring visitors to your site, so tailor them to match what your potential customers might type into a search engine. Product pages: These keywords will be very specific and probably made up of whatever product characteristics apply, like brand name, model number, colour and size. Category pages: These will be more general as the customer may not know exactly what they are looking for. Content pages: Here you want “content phrases” that lead to more information about what you offer. Writing blogs around these phrases works particularly well to attract organic traffic. On any e-commerce site, there are many pages your customers will never search for e.g. shopping cart pages. You certainly don’t want new visitors to be directed there either. Although they are necessary to your site, Google doesn’t care about these types of pages. Install a file called robots.txt to block their URLs, so web crawlers focus on the pages that are important. The aim in any site is to make it as easy as possible for your visitors to find what they’re looking for. If they have to click too many times, they lose interest. This can become very challenging on e-commerce sites, which may have thousands of very similar products. Simplicity – consider your categories carefully so customers can easily locate the specific product they need. People now expect to be able to use any device to access the web. In fact, a third of all online purchases are made on smartphones. Added to that, many people conduct research on a mobile device then purchase on a desktop or in a physical store. Search engine algorithms penalise sites that are not responsive. Make sure yours is. Any website should have an acceptable load time. For e-commerce customers, who may want to browse through many products before finally making their selection, it is even more critical. Research varies, but sources indicate that if they have to wait longer than 2.5 seconds for each page to load, they’ll rather browse another site. Google penalises sites that load slowly not only on desktops, but now on mobile devices too. Find out more about checking and optimising your page speed here. The best e-commerce sites are jam-packed with images. People are extremely visual and in an online shop, where they can’t pick up and examine a product, images become all important. The better the image quality and the more angles you can show the product from, the faster it will sell. Images drastically impact site speed. Aim to find a balance between image quality and file size – a jpg at 80% works well. Any bigger, and the image will load too slowly. Help search engines understand what the image is by giving it descriptive file names and alt tags, making sure to include keywords. In each of these types of shoes you will have size and colour ranges. You will also have men’s, ladies’, boys’ and girls’ shoes. But more importantly, their benefits to customers vary dramatically – and that is the key. If you simply describe them as “Ladies, black, high heel, leather court shoe, number 6”, you will end up duplicating that description. Rather try to focus on the delight, use and comfort that makes them unique to the customer and then describe them according to features: heel type, toe type, material (for example, leather or suede), whether they have laces, whether they are ankle high or court shoes, etc. People like to know exactly what they’re getting, so they can make sure it meets their needs. The more detail you use to describe your products, the more you will sell. To help search engines distinguish between them, product descriptions need to be unique i.e. different from each other and also different from the standard description (on the manufacturer’s site). Especially if you have many similar products, this is nearly impossible to achieve unless you use the central spreadsheet we suggested upfront to keep track. An e-commerce CMS makes this easy, and allows you to upload your spreadsheet in CSV format. Reviews on any site are important as they create trust in a brand or service. Including reviews on your e-commerce site provides real life feedback and social proof from peers about your products. Visitors stay longer (bounce rate decreases) and they feel far more confident making a purchase (conversion increases). To increase your click-through rate, make sure Google displays review snippets (and other rich results) alongside your products. Learn more about rich results for your site here. 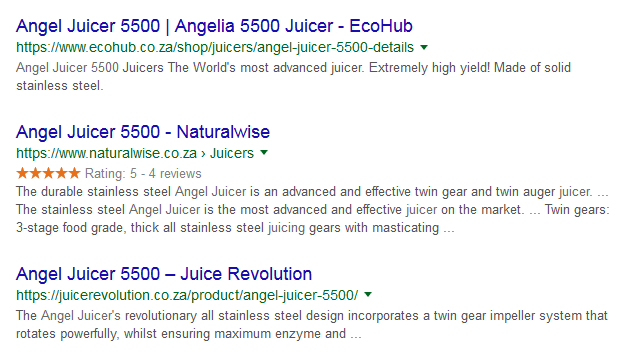 When your e-commerce customer posts a review on your site, they are adding unique and related content for you, which is SEO gold. Find out how your customers can add reviews to your site here. This issue is really only applicable to e-commerce sites. When you have out-of-stock situations, which could be temporary, long-term or permanent, it’s important to manage customer expectations and handle it correctly for SEO purposes. Temporarily out-of-stock products: Keep the page live, tell the customer when it will be back in stock, suggest other products to buy or allow back ordering. Longer term out-of-stock products: Keep the page live, but hide it. Create a temporary (302) redirect to another product that may be of interest to that customer, based on their search query. Discontinued or permanently out-of-stock products: Re-use the URL (if possible) for a new replacement product. If this is not possible, use a permanent (301) redirect to another similar product, again keeping in mind the customer’s search terms. Links offer a site visitor the option to click through to more or related information. On your e-commerce site, that extra information should be clearly related to the topic, and also help the visitor make up their mind whether a particular product is right for them or not. Search engines check that links make sense, and that you aren’t trying to falsely boost your rankings by creating multiple links back to one place. Rather link different pieces of text (anchor text) in your content to a variety of different but related internal and external sites – and don’t go crazy. A well-optimised e-commerce website makes it easy for potential customers to find you. To get it right, you need to get into the heads of your customers and also understand how search engines rank websites. Maximise all the factors involved and you’ll boost your site to the top of the rankings.